Philips Sonicare Electric Toothbrush Just $19.95! Down From $50! You are here: Home / Great Deals / Amazon Deals / Philips Sonicare Electric Toothbrush Just $19.95! Down From $50! Don’t miss this amazing deal from Amazon! Get this Philips Sonicare Essence Sonic Electric Toothbrush in White for just $19.95, down from $49.99 PLUS FREE shipping for Amazon Prime or orders $25 or more! Taking care of your oral health is easy with the Philips Sonicare Essence Rechargeable Electric Toothbrush. This rechargeable electric toothbrush features soft contoured bristles and patented sonic technology to gently remove plaque in hard-to-reach areas. 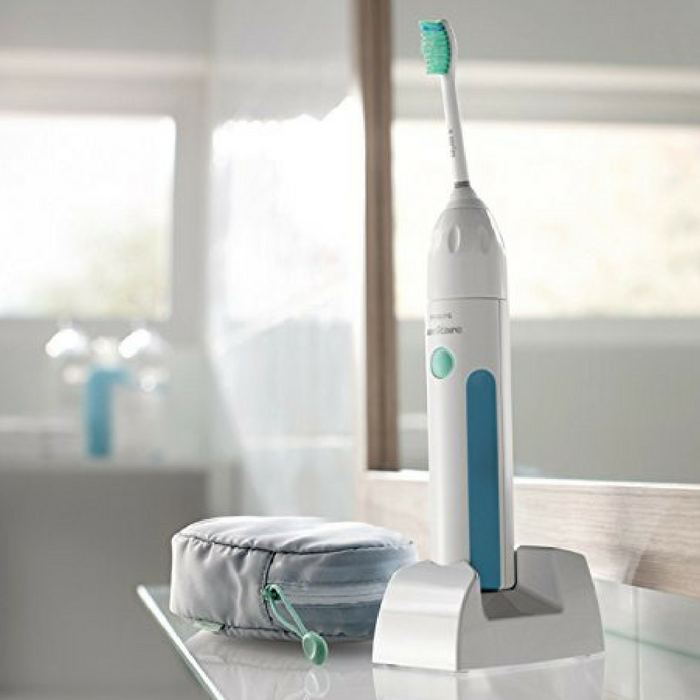 An easy-start feature helps you adjust to the Sonicare experience, while the two-minute Smartimer ensures you brush thoroughly! Allow the handle to charge a full 24hrs before its first use. The handle could be left on the charger at all times to ensure constant charge.